Armenian violinist Ani Batikian entered the Yerevan State Conservatoire in Armenia at the age of 15, being one of the youngest students ever to study there and supported by a local scholarship. 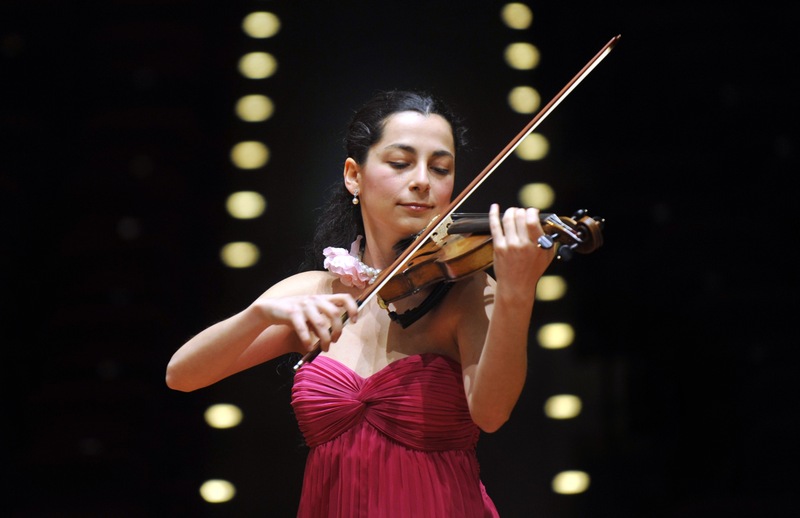 Later through the generous support of Raffy Manoukian she received a full scholarship to study at the Royal Academy of Music in London where she received the top prize for violin playing. Further study took her to Cremona in Italy where she was a student of Salvatore Accardo.. Other teachers include Henrik Smbatyan, Peter Lissauer and Hu Kun. She has also received guidance from Thomas Brandis, Tibor Varga, Pierre Amoyal, Zvi Zeitlin and Sylvia Rosenberg. Ani has received numerous awards and prizes. As a recipient of the Dewar Award, she performed in The Dewar Arts Awards Fifth Anniversary Concert held in the Scottish Parliament.She has been the guest of Sean Rafferty on BBC Radio 3 programme “In Tune” and also broadcast on the BBC Radio Scotland. Ani has given solo concerts at the Cadogan Hall, in National Portrait Gallery in London, Edinburgh’s Usher Hall, Oxford’s Sheldonian Theatre, Glenn Gould Studios in Toronto, London’s St. Martin-in-the-Fields, St James’s Piccadilly and St. John’s Smith Square. Last year Ani featured as soloist in the opening concert of the Return Festival at the Philharmonic Hall in Yerevan, Armenia. She has performed as a soloist with Sinfonia Toronto, City of Oxford Orchestra, National Chamber Orchestra of Armenia, The Sinfonietta, Naregatsi Baroque Orchestra, Katrineholm Symphony Orchestra in Sweden, Glasgow Chamber Orchestra and St. James’ Orchestra in the UK. Ani has participated in “Music Alp” Festival in France, Levon Chilingirian Festival in Armenia, Schleswig-Holstein Festival in Germany and Lausanne Music Festival in Switzerland. She has performed chamber music with major musicians as Levon Chilingirian, Ida and Ani Kavafians,Benjamin Frith, Maximiliano Martin, David Watkin as well as the Hebrides and Red Note ensembles. Recently she recorded a CD, entitled “My Favourite Encores”. The CD includes Armenian and virtuoso violin music now available from her official web-site. Currently Ani lives in Brighton and her future plans include a number of concerts and several exciting CD projects.